The Neil Squire Society is a national not-for-profit organization that empowers Canadians with disabilities through the use of computer-based assistive technologies, research and development, and various employment programs. 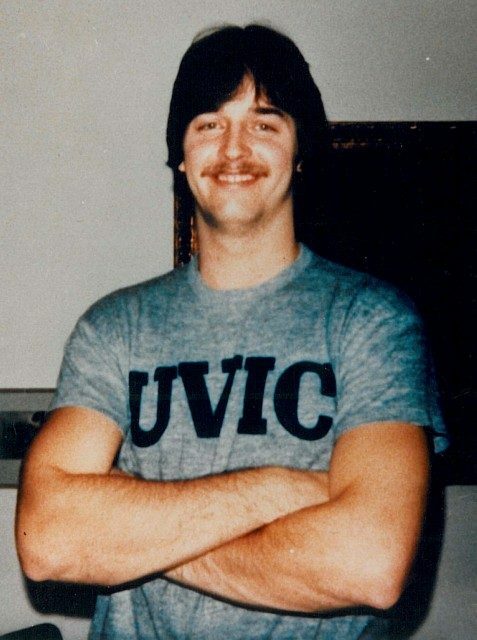 In 1980, Neil Squire was a 21-year-old university student and basketball star at the University of Victoria when he hit black ice and crashed his car. He awoke in a new world. He had become a brain-stem tetraplegic, unable to move his legs or arms, and unable to speak. Neil’s relative, Bill Cameron, an inventor and engineer, designed a machine that allowed Neil to “sip-and-puff” Morse code which appeared as letters on a computer screen. These letters formed Neil’s words and sentences and thus began the link to technology for people with disabilities. When Neil died in 1984, the Neil Squire Society was born. Today, the Neil Squire Society is a national not-for-profit organization that empowers Canadians with disabilities through the use of computer-based assistive technologies, research and development, and various employment programs. To date, they have served over 40,000 people with disabilities nationally. Their headquarters are in Burnaby, British Columbia with regional offices across Canada. They offer a number of programs for people with disabilities, employers, and employees. 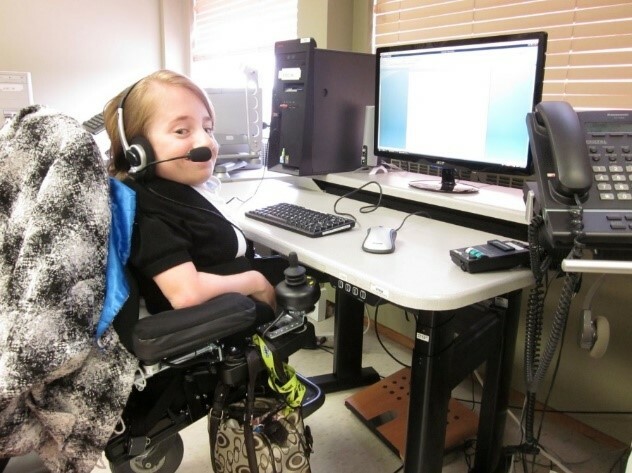 In Victoria, the Neil Squire Society’s office is located within the Victoria Disability Resource Center, and their program offerings include Working Together, Technology@Work, and Distance Computer Comfort. Working Together is a unique, comprehensive and participant centered program designed to develop the skills required to help individuals achieve their employment goals. The program offers individualized program plans, continuous support from career professionals, ergonomic and/or assistive technology assessments and solutions. The Working Together program connects employers with skilled, job ready individuals with disabilities, and may be able to provide wage subsidies when employers hire people with disabilities. For more information please visit the Working Together program page. The Neil Squire Society operates the Province of British Columbia’s Technology@Work program that provides people with disabilities access to assistive technologies they need for employment, often at no cost to the client. Technology@Work is available to employees, self-employed workers, volunteers, and business owners in British Columbia. For more information please visit the Technology@Work program page or sign up for a free webinar which runs on the third Wednesday of each month. Distance Computer Comfort provides free online computer skills tutoring from the comfort of your own home. The program is client centered and self-paced and is a great starting point for people with disabilities to develop their basic computer skills. Working with a volunteer or staff member, participants work on their own self-determined goals, such as: word processing, Windows, office software, e-mail, the internet, and social networking. For more information please visit the Distance Computer Comfort program page. At the beginning of December, Sarah had the pleasure of seeing her students put on a play as part of family game night. It was just one of many great moments that she’s seen as an educator. Sarah is an outreach teacher for the READ Society, where she teaches an after school reading program. She’s now helping her students find confidence — something she once lacked. 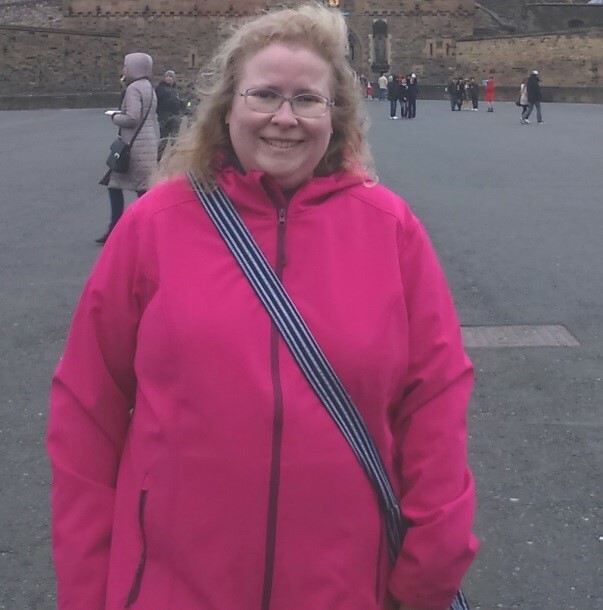 Sarah has schizoaffective disorder. She is on medication and hasn’t been in the hospital for six years. However, she was having trouble finding work. “I didn’t really believe in myself, because I applied for a lot of jobs, I had a lot of interviews, but I wasn’t able to secure a position,” explains Sarah. Her mother had recommended that she go to the Victoria Disability Resource Centre. There she found the Neil Squire Society. At the Neil Squire Society’s Victoria office, career facilitator Wendy Cox put Sarah through the Working Together program. “[Wendy] believed in me from the beginning and I didn’t really believe in myself,” says Sarah. Sarah has always had a passion for teaching. She has a Bachelor’s Degree in Education from the University of Victoria, and was on the teacher on-call list in Saanich, but was removed when she didn’t meet the required amount of work days to stay on the list. “I wasn’t as healthy as I am now,” she notes. Since 2011, she has volunteered with a Grade One class once a week. “Knowing that I can make a difference in someone’s life, open their eyes to possibilities, and watch them grow through learning [motivates me],” she explains. Through Working Together, she re-structured her resume, learned about disclosure, and honed her interview skills, helping her become more confident, as a self-described “shy” person. And when the time came, Wendy had found the perfect job for Sarah — an outreach teacher. Sarah applied and got the job. “It’s absolute freedom,” Rahul Ray says about the hand controls installed in his car with funding through the Neil Squire Society’s Technology@Work program. Rahul was a partner at an environmental consulting firm ten years ago when he woke up with his right calf numb. A high level soccer player for many years, at first it seemed like it might just be a pinched nerve. But a few months later, he was diagnosed with Multiple Sclerosis (MS). Rahul has maintained his positive approach to life, but has been forced to find solutions to undertake his work. His environmental planning role involves working with Aboriginal and non-Aboriginal communities across western Canada — a lot of driving for Rahul, who is based in Victoria. Over the past few years, his MS, which affects his mobility in the lower body, made it increasingly difficult for him to drive a traditional vehicle. Fortunately, he did find another way — hand controls. Instead of using his feet to control acceleration and braking, with a modified set-up in his vehicle, he can drive using his hands. Rahul signed up for driver training at Access Driver Rehabilitation and found quick results. “I went to driving school all over again. I’ve been driving cars and motorcycles for probably 25 years, but it’s different with hand controls,” he says. “Not difficult, just different.” After two weekend days of training with Dean, from Access, on the Monday morning I retook my driving test using the modified car I learned on. I passed with flying colours and high-fived the 16-year-old drivers who were also taking their driving test,” he says with a laugh. It was during his training at Access Driver Rehabilitation that he was referred to the Technology@Work program to fund his training and the equipment for his work vehicle. “[The Neil Squire Society] were just absolutely amazing. They made the whole process easy. For most people that’ll be joining the program, or trying to seek funding, they’re going to be nervous, because it’s something new for them. Katrina was fantastic. All of the staff I met have been amazing. They made the process really easy and very comfortable. Change is hard, but working with Neil Squire helped smooth the transition,” he explains. It couldn’t come at a better time for Rahul, either. Looking for a change in his working career, he left the firm that he helped build. “Through mergers and acquisitions, the place I worked grew from 10 people to 500 to 26,000 people”. 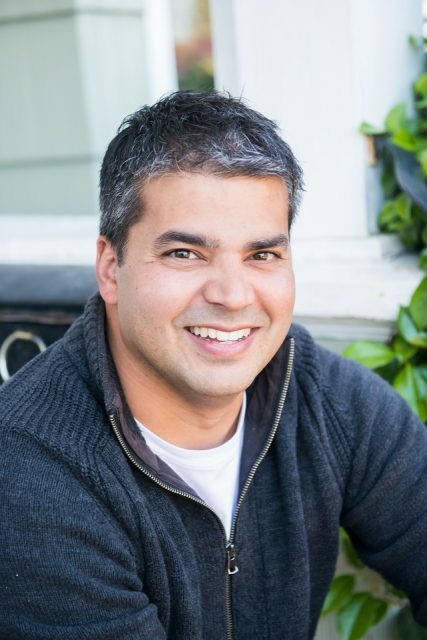 Rahul has opened his own company, Springboard Strategies Ltd. focussed on environmental planning as well as career development for Aboriginal and non-Aboriginal people, including those facing some form of disability. His goal is to help people find their career passion to live the best life they can. Now, as a board member of the MS Society on Vancouver Island, he wants to spread the word about the Technology@Work program and how it dramatically improved his life.